Home → Did you know? → Why do we offer food to the crows? In today’s post let us see why we offer food to the crows, it is a general belief among us that the crows symbolizes the Pitri, Pithrukal or Pitra (Means the ancestors whose souls have attained eternal rest as their descendants have performed the funerary rituals as required). 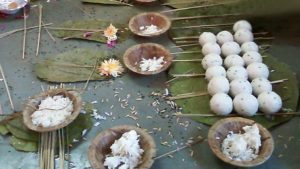 We generally observe shraddha or shraadh (this term is originated from shraddhaa – faith) to appease our ancestors. 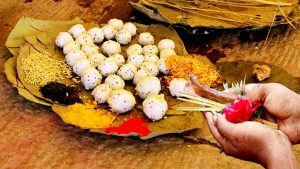 It is said that practicing such rituals during shraddha will pacify our ancestors, one such ritual of shraddha is to offer food to crows; it is believed that crows are being related to our ancestors since the ‘treta yuga’. As per this popular legend, once Jayant the Son of God Indra, disguised in the form of crow and hurt Sita. In turn God Rama took hay and used it as an arrow and parted one of the eyes of Jayant. After realizing his mistake, Jayant asked for God Rama’s forgiveness. Then Rama forgave him and blessed him with a boon that when food is offered to the crows that will reach the ancestors. Another reason why we offer food to the crows are the connection between God Shaneeshwar and the crow, as we all know Shaneeshwar holds a crow in his hand and it is his Vahana. Apart from that it is believed that crows guard us from evils if any occur, especially during the Sani Dosha or Shani Dasha (period), Kandaka Shani or Ashtam Shani. One will be prompted to feed crows during Sani Dosha or Shani Dasha period, astrology suggests feed crows at that time, if not also it is a good deed to feed crows and provide them some water too. On the whole we offer food to the crows, as they are been associated with our ancestors because of whom we worship, seeking their blessings and forgiveness from our sins. Let us all invoke the blessings of God Shaneeshwar and chant the sloka below. Meaning – I bow to Lord Shani, who has dark complextion and son of Sun and born to Chaya and brother of Yama , who moves very slowly. 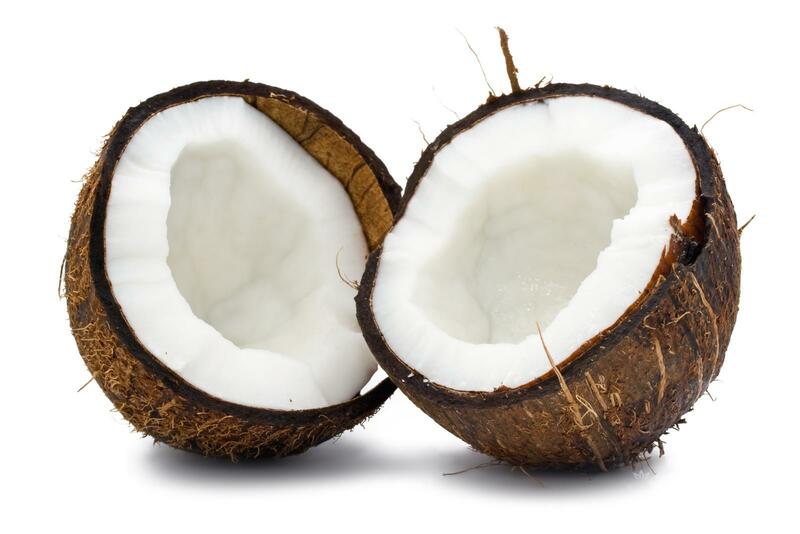 What is the significance of the holy herb basil Why do we offer coconuts in temples? Why do we offer food to God before eating it? Why do we tie mango leaves in the entrance of our house?